Towson University’s Regional Economic Studies Institute (RESI) quantifies for the first time the sweeping economic impact of investments by major U.S. railroads. Each year, railroads fuel billions of dollars in activity throughout the U.S. economy and generate more state and local tax revenues each year than most states collect in taxes. In 2017 (the most recent data available), Class I railroads created $219 billion in economic activity and generated nearly $26 billion in total tax revenues while supporting over 1.1 million jobs across the country. The report notes the industry spent nearly $25 billion in capital and maintenance expenditures in 2017, an amount equal to more than half of all federal government spending on transit formula grants, federal highway construction programs and airport improvement programs. Examining what they called freight rail’s “wide footprint on the economy,” the RESI researchers analyzed the impact of the nation’s seven major Class I railroads with U.S. operations: BNSF Railway, Canadian National Railway, Canadian Pacific Railway, CSX Transportation, Kansas City Southern Railway Company, Norfolk Southern Railway and Union Pacific Railroad. The researchers found that the railroads’ operations and capital investment in 2017 generated $219.5 billion in goods or services produced — or 1.1% of total U.S. economic output. This spending and investment had significant effects for the national and state economies, including more than $16.7 billion in federal tax revenues and more than $9.2 billion in state and local taxes. The report finds this economic activity is helping to put Americans to work, particularly in high-paying jobs within the rail industry, which, in turn, reaches communities. In 2017, the average U.S. Class I freight railroad employee earned $87,100 in annual wages and $38,300 in fringe benefits, for a total average yearly compensation of $125,400. By contrast, the average wage per full-time U.S. employee in 2017 was 29% lower at $62,100 annually, and average total compensation was 39% lower at $76,500 per year. The RESI report finds in 2017, railroads supported about 1.1 million U.S. jobs — or 0.8% of U.S. workers — tied to railroad spending and generated over $71 billion in total wages, with one job in the freight rail industry supporting nine others. For example, railroad activity supported more than 81,000 retail trade sector jobs in 2017, such as those in motor vehicles, furniture and home furnishings and electronics and appliance stores. Railroads also supported roughly 105,000 manufacturing jobs and more than 103,000 transportation and warehousing jobs. Clifford Winston, applied microeconomist and senior fellow in the economic studies program at The Brookings Institution, argues that railroads are an integral part of a transportation sector that affects every part of the U.S. economy and life. The Towson study links the economic success of the freight rail industry to milestone legislation passed in 1980 known as the Staggers Rail Act. The law partially deregulated the railroads, and gave them the power to set competitive market rates and operate and grow over their most efficient routes. Since that time, freight railroads have spent more than $660 billion on the nation’s rail network. As the researchers note, since the dawn of rail transportation in the 1800s, the industry has played a significant role in the nation’s economy. From creating jobs to enabling cross-country shipping and travel, today’s rail network now spans approximately 140,000 miles and is a linchpin of the world’s most productive economy. With a continued smart and balanced modern regulatory environment, the report says, Americans will continue to benefit from rail’s positive economic effects every day. 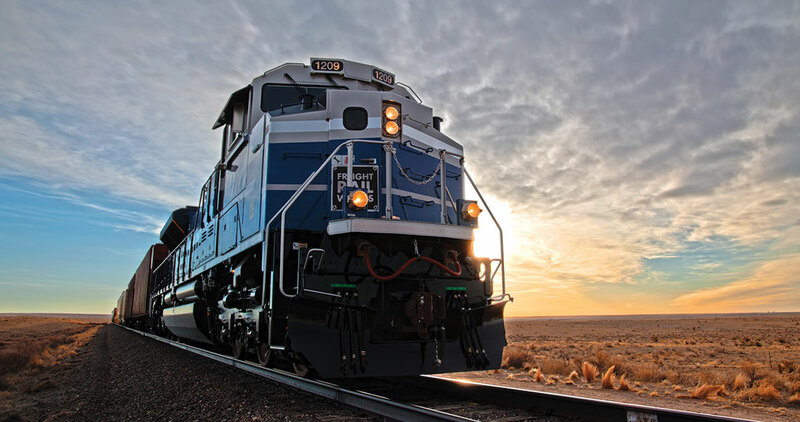 UP’s $400 million Santa Teresa intermodal facility is one of New Mexico’s largest economic development projects and drives millions in economic growth. After considering 76 sites that stretched across nine states, Cronus Chemicals worked with CSX to develop a new plant in Tuscola, IL, which is creating thousands of new jobs. A global marketplace and strong domestic economy are possible, in part, because of decades of private spending by American freight rail.